The story that unfolded is about families, the Gospel, and God’s faithfulness in each of our lives. John and Peggy met The Navigators through their son Steve. As a freshman at University of Iowa, Steve became involved in Collegiate Navs and joined a Bible study. He was already a Christian, but learned how to grow in his relationship with God. Steve was discipled by a Navigator and this became a pivotal experience in his life. When he came home from college, immediately John and Peggy began to see positive differences in their son. It was evident in how Steve treated his family, made better life choices, and had a strong desire to follow Jesus. It soon changed their family story. Steve shared the Gospel with his two younger sisters, Cindy and Becky, and they each made decisions to follow Jesus Christ. They saw a sincere change in their big brother and wanted to know God the way he did. Later on in his college years, Steve met his future wife, Janine, on a Navigator campus weekend retreat. Medical school followed college, and after he graduated from med school, he and Janine were married. 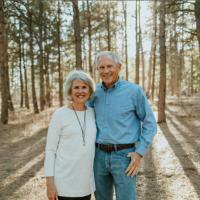 Steve’s career choice for medicine was put on hold while he and Janine served as Nav campus leaders at Iowa State University and then University of Iowa. After a season of campus ministry, they moved to develop a medical practice in a Texas border town. John shared, “Each of our three kids have followed God’s will for their life. God is using each of their gifts in making a difference: raising a family, working in medicine, the mission field, or in the U.S. Senate! We are blessed to look back at God’s faithfulness and how one encounter with Jesus can be the tipping point for our entire family story. John and Peggy wanted to give a gift to The Navigators through a Charitable Gift Annuity. A CGA has two benefits: they will receive a predictable income and give a legacy gift from their family to The Navigators. If you have any questions about a Charitable Gift Annuity, we are glad to help you walk through the options that work best for your family needs. I hope the Havener’s story encourages you to take a look at your personal story and see how God’s hand is evident when we walk towards Him in faith. “How great is the goodness you have stored up for those who fear You …” Psalm 31:19a (NLT). My name is Randy Leavitt. I am in San Antonio, TX. I believe I met Steve Havener several years ago after they moved to Mission, TX. to do the medical practice. I have lost contact with them. I am starting to make trips into the Valley. Is it possible for me to get in touch with Steve? I don’t know if he would remember me or not. I worked with The Navigators for many years with the U.S. Hispanic ministry. Thank You.